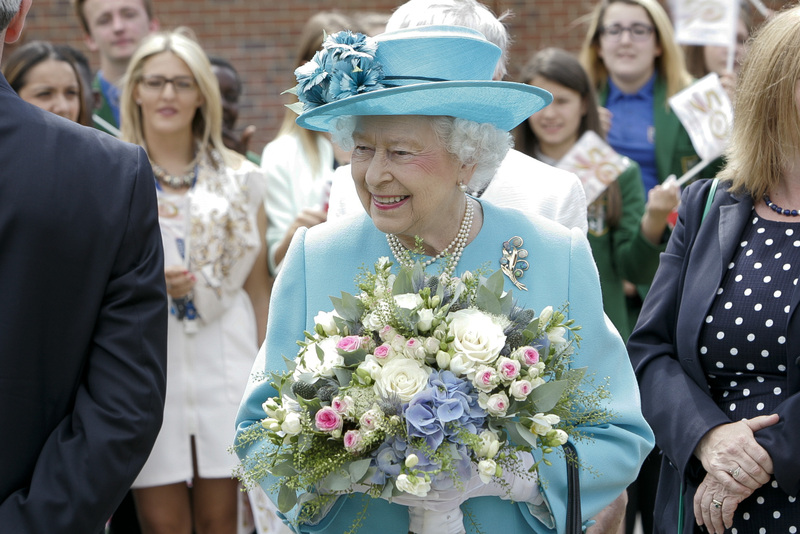 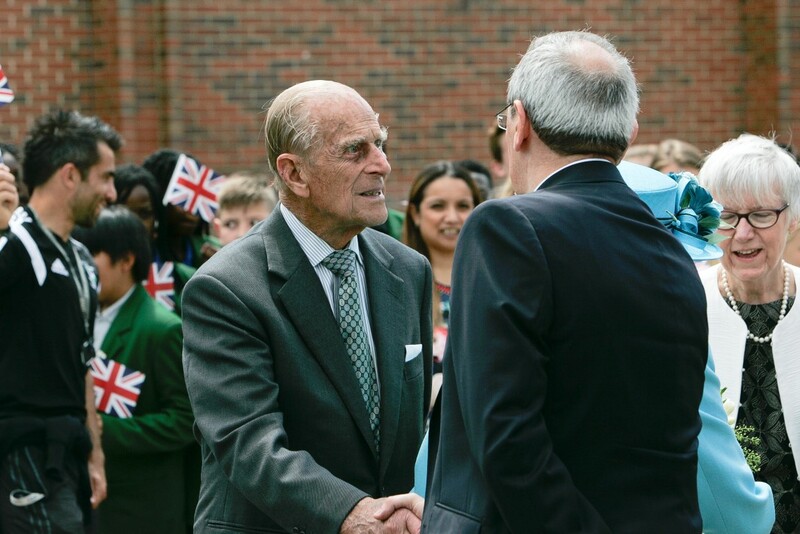 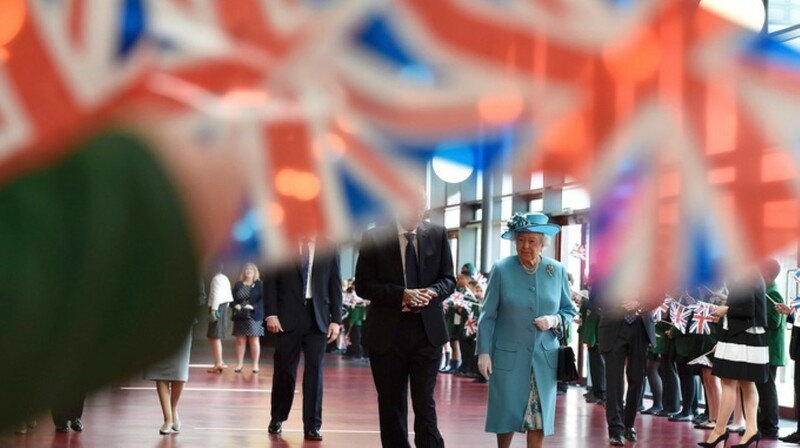 Thursday 16th July was a very exciting day in the history of The Sydney Russell School; we were visited by Her Majesty The Queen and his Royal Highness, The Duke of Edinburgh. 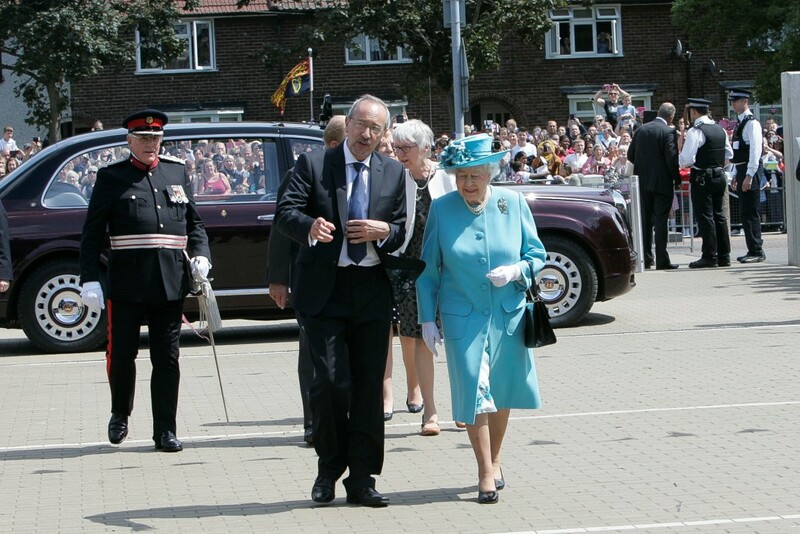 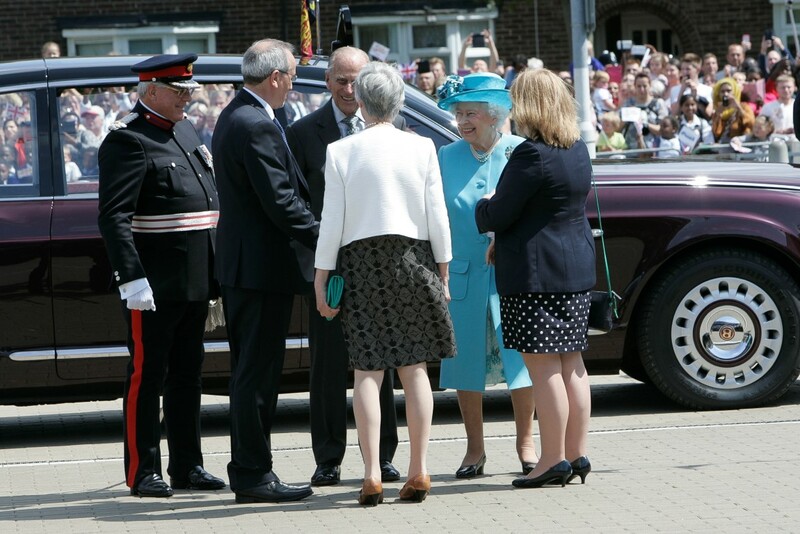 The royal couple were visiting Barking and Dagenham as part of its celebration of fifty years as a London borough. 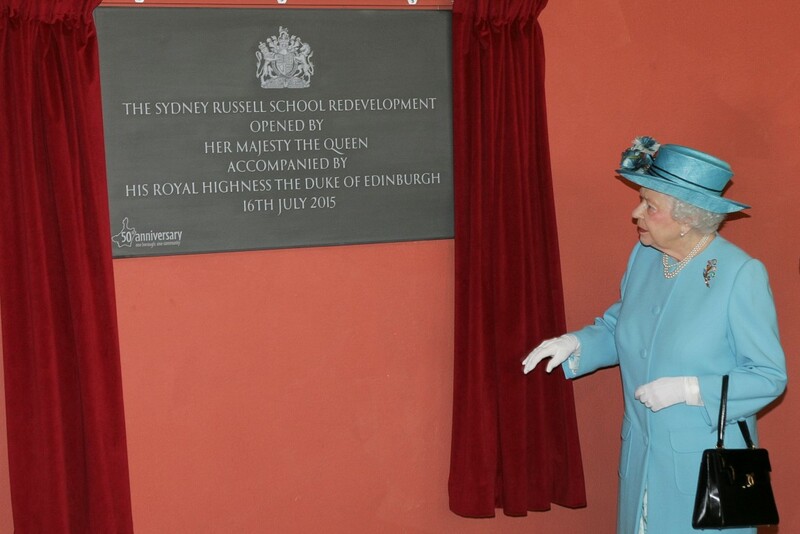 They visited several places in the Borough but Sydney Russell was the only school honoured by a visit. 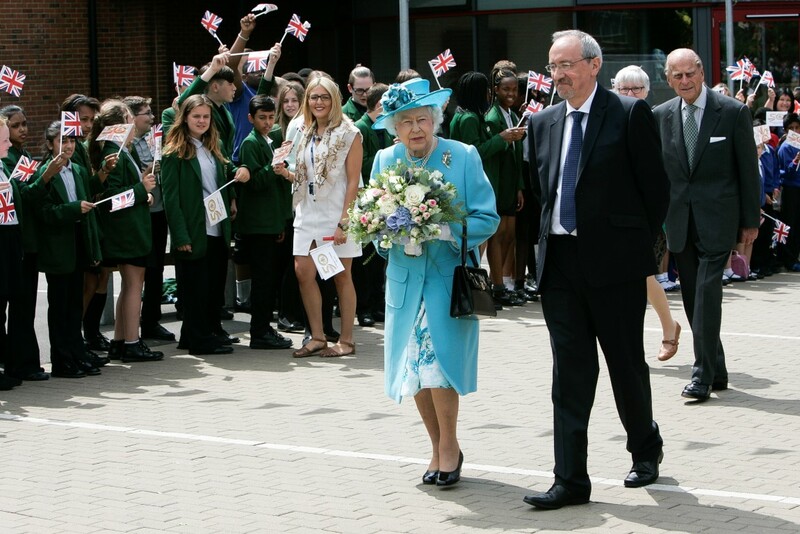 Local residents lined Parsloes Avenue, cheering and waving flags, as the royal limousine drove through the school gates. 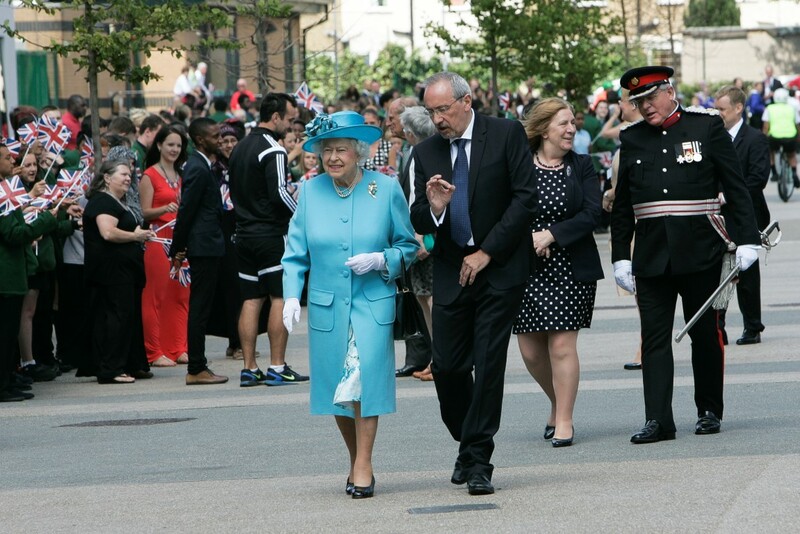 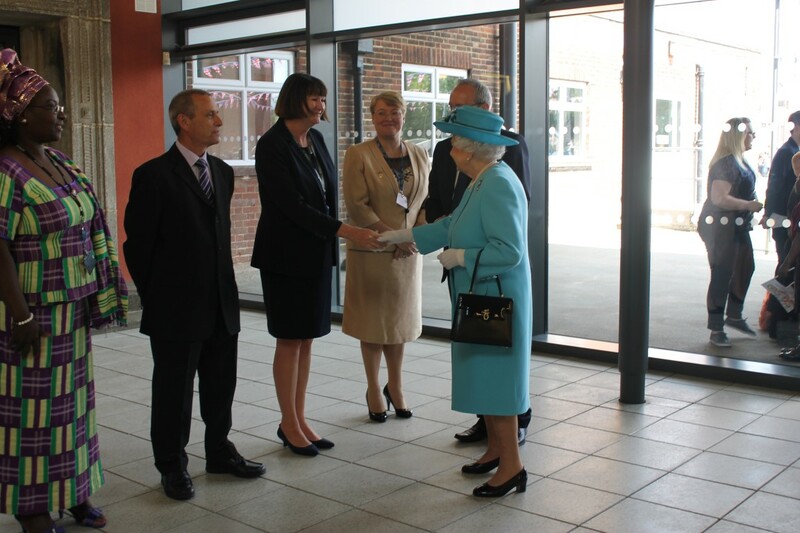 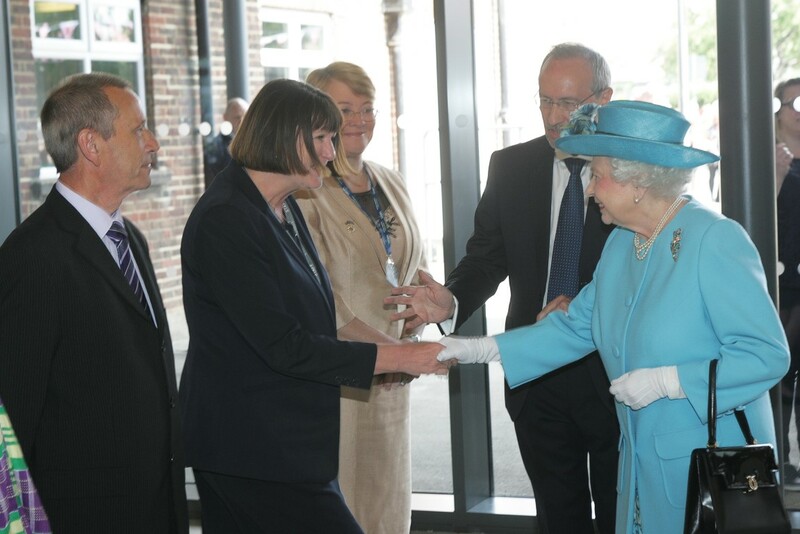 The Queen and Prince Phillip were greeted by Mr Leighton who was eager to show off our outstanding school. 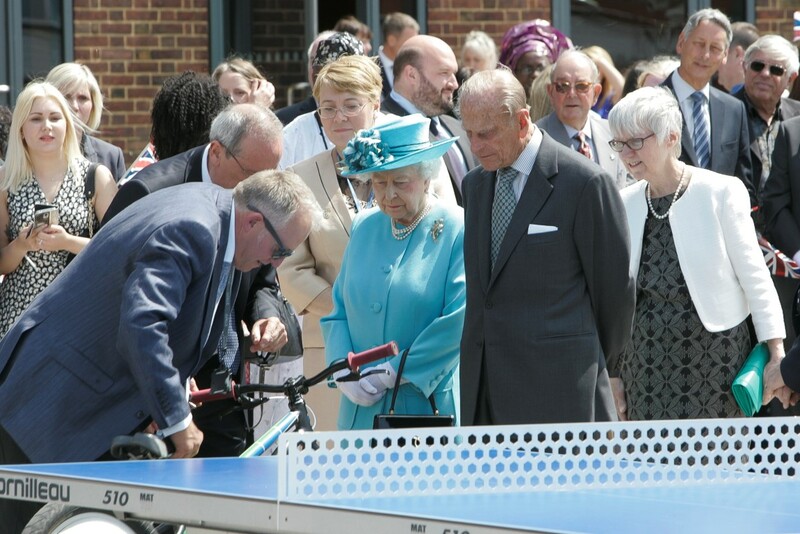 Having been introduced to Miss Davies and Miss Abankwah, next on the agenda was a display of cycle polo, organised by Mr Sullivan, Director of School Development. 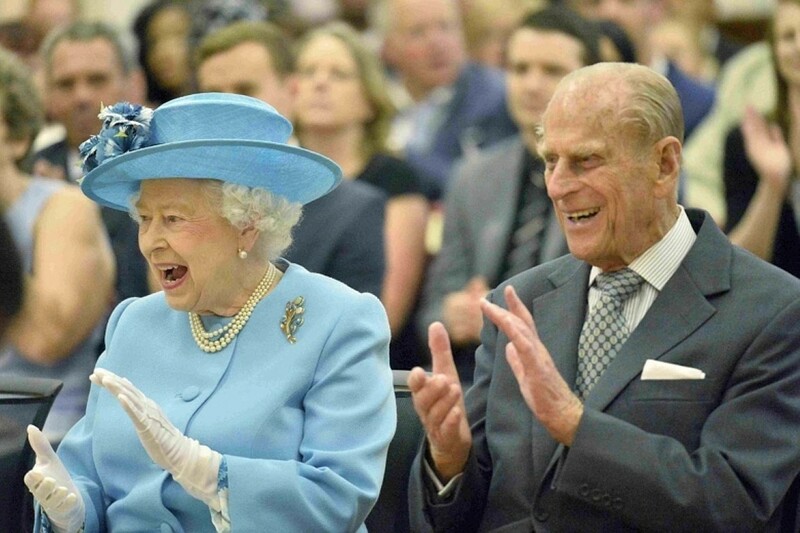 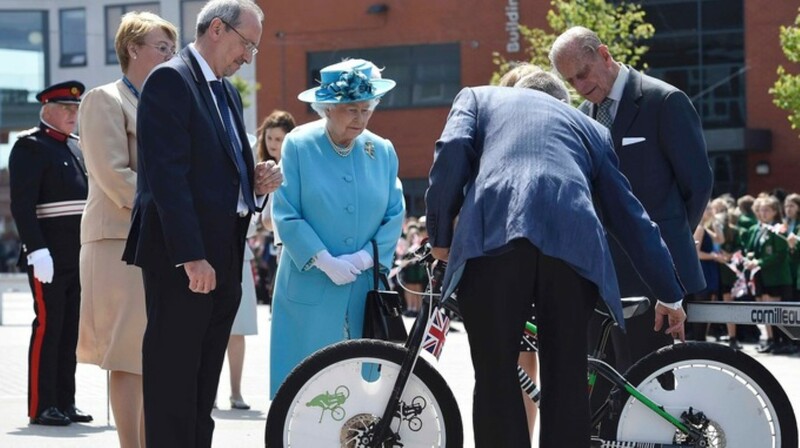 The Queen and Prince Phillip seemed impressed and His Royal Highness took a keen interest in the cycles. 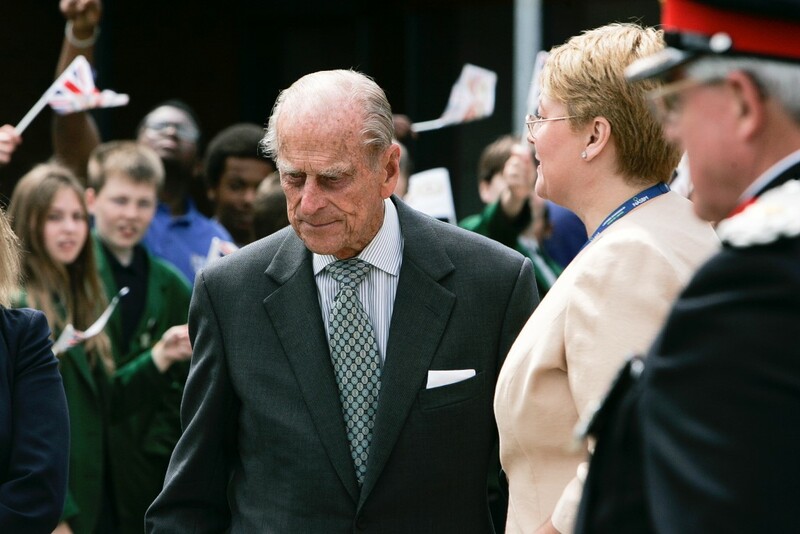 Next, they walked across the quadrangle towards Kingsley, cheered on by crowds of students. 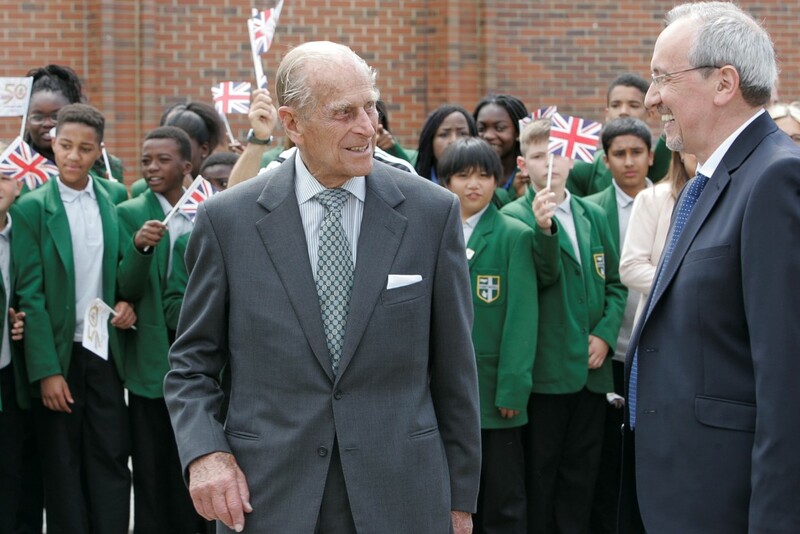 In Kingsley, the royal couple separated, the Queen to join 9F.T.’s French lesson while His Royal Highness joined a Year Ten German lesson. 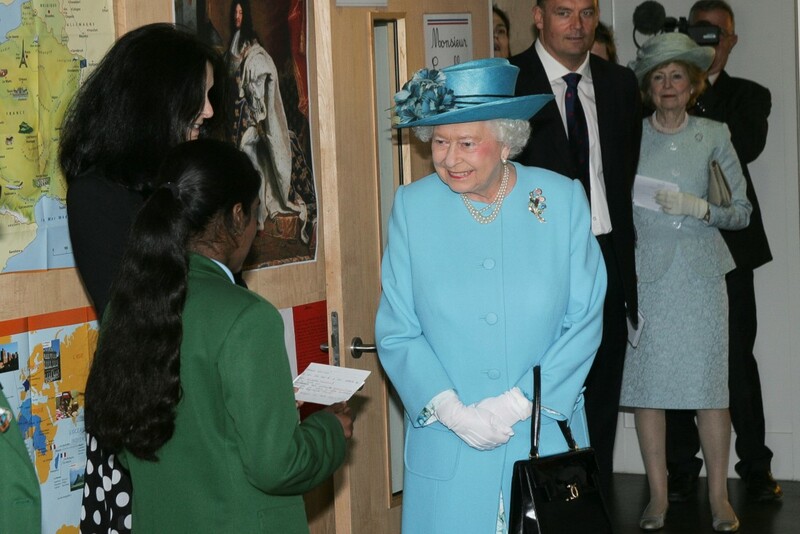 The Queen smiled broadly when she was introduced to Suvika Kumaravelu as she and Suvika’s grandfather share a birthday, 21st April, and have exchanged cards. 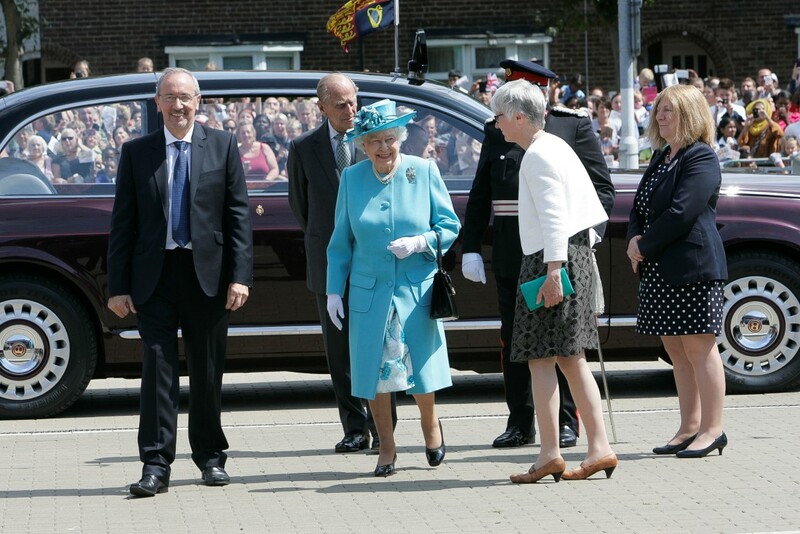 Having seen sport and lessons, the Queen and His Royal Highness were escorted to the Hall for a concert. 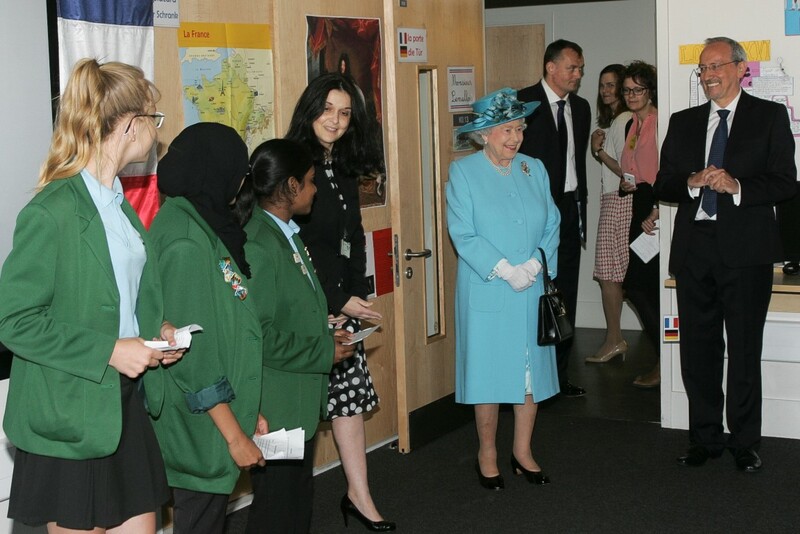 Miss de Gray and Miss Ambrose were introduced then Miss Ambrose took up her place as conductor. 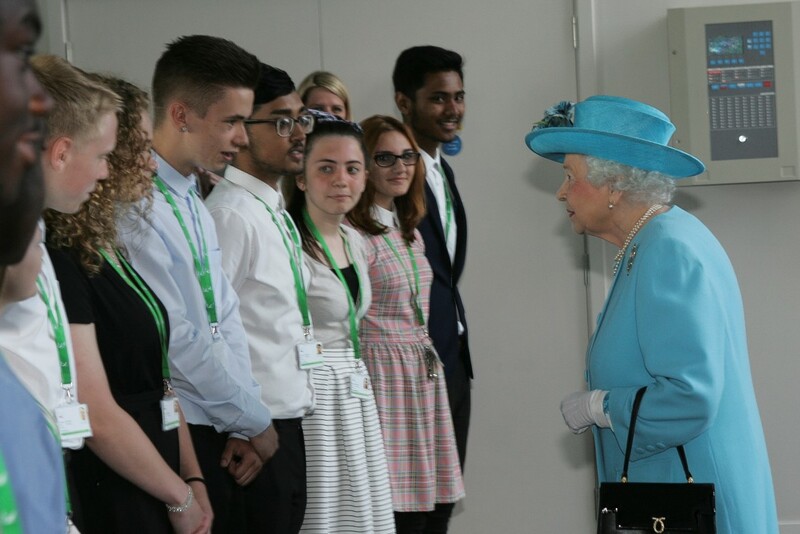 Apart from the guests of honour, the audience consisted of Heads of Department and Heads of Year, the first Headteacher of Sydney Russell, Geraldine Farnell, former teachers and staff and students from other Borough schools. 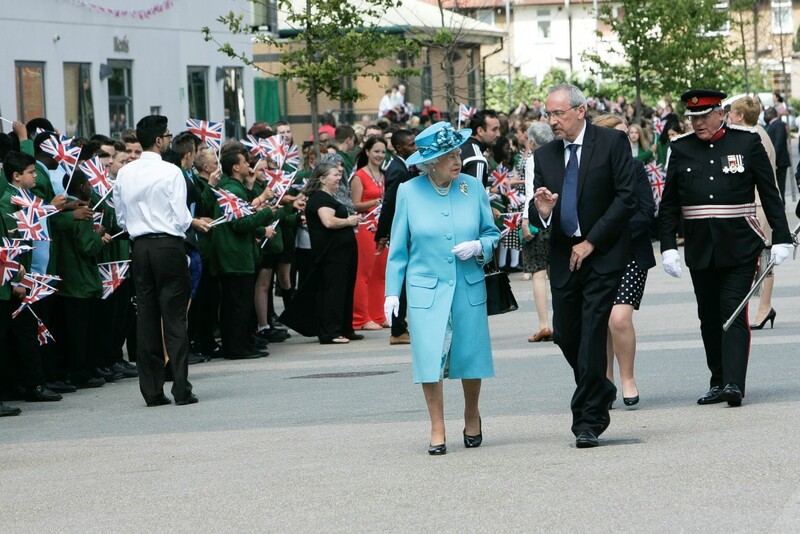 There were three performances; the Samba Band played Apparently a Samba and the senior choir sang. 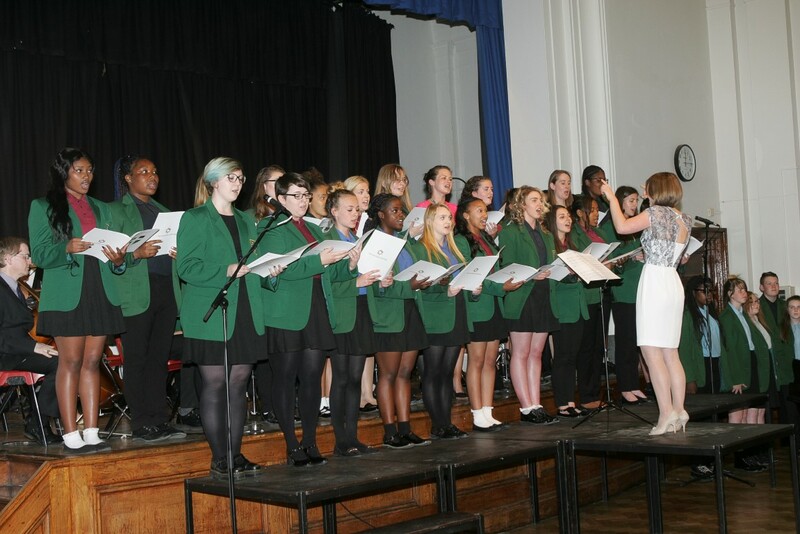 Both were well received by the audience but the most applause was given to a sensational performance of Adiemos by the choir. 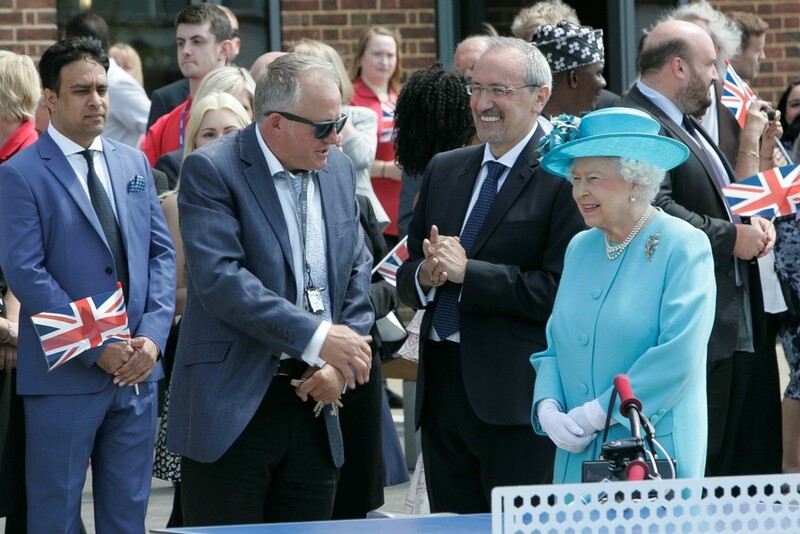 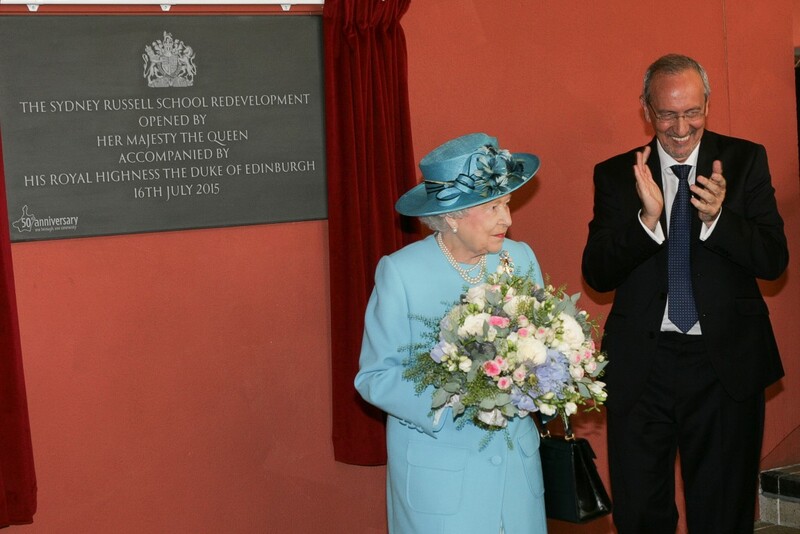 The Queen’s final, but most important duty, was to mark the completion of the redevelopment of the school by unveiling the plaque in the atrium. As thanks, she was presented with a bouquet by Lily Hewitt who is currently in Year Eight. 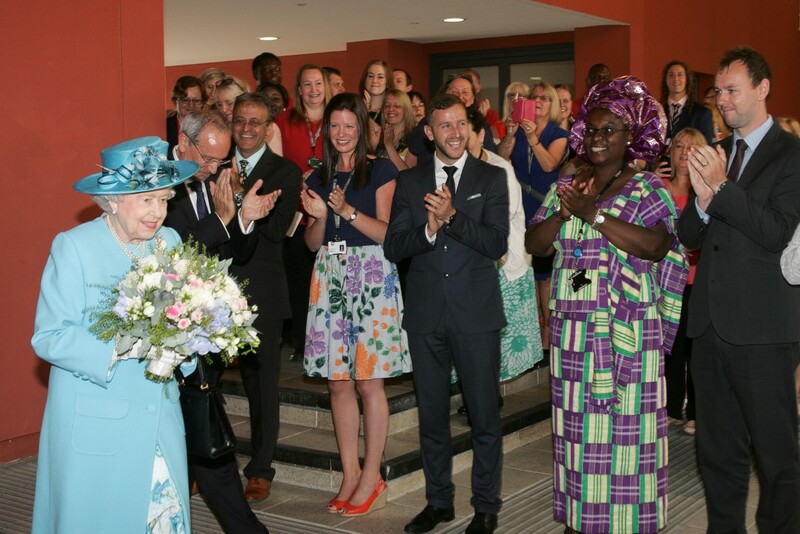 As the guests of honour left for their next engagement, staff, students and visitors congratulated themselves that the visit had gone so smoothly. 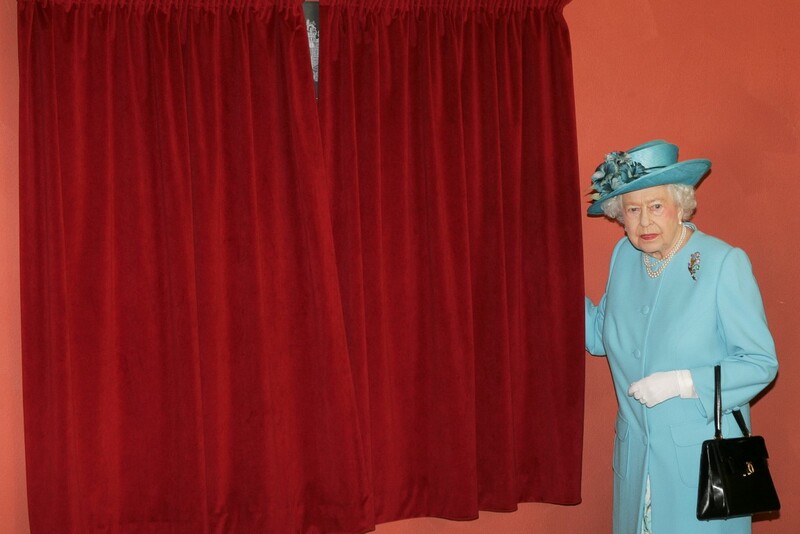 It was a day we’ll all remember for the rest of our lives.